In 2013, Salisbury United Church renewed its vision for ministry after time of transition and consultation. Working with the congregation and our minister, a Transition Team helped articulate our sense of God's vision for the kind of church we are becoming . In our vision statement we used words like intergenerational, spiritually deepening, welcoming, connecting, and more. We summarized our vision with the mission statement: "Connecting hearts, minds and lives in community with God." We continue to develop and grow as a Christian community of faith and invite you to develop and grow with us. Individual churches are usually affiliated with an overall umbrella organization of one kind or another. Salisbury United Church belongs to a Canadian denomination called The United Church of Canada. 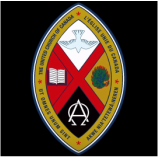 The United Church of Canada is a union of three separate denominations that joined to form a new Canadian-based church. As a result, we began in the only away a truly Canadian Church should - in a hockey arena. We have been part of the fabric Canadian religious life for over 90 years. You can read about The United Church of Canada by clinking on the link below and going to the United Church of Canada website. You can read our basic statement of faith by clicking on the link to "A New Creed". Salisbury United Church is well over 100 years old, and predates the founding of Sherwood Park. Our original building was located at a place called Salisbury Corner, now the cloverleaf intersection at Wye Road and Anthony Henday Drive. Many pioneering families in Strathcona County have been involved in the life and work of Salisbury United Church. We are now a part of a busy suburban community, which is reflected in the people who make up our congregation today. 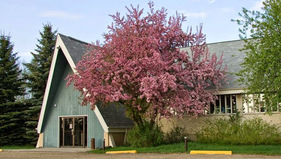 You can visit the Strathcona County Museum to see the historic church displays and exhibits. "We are not alone, we live in God's world ... ."